Eases pain underneath the heel. 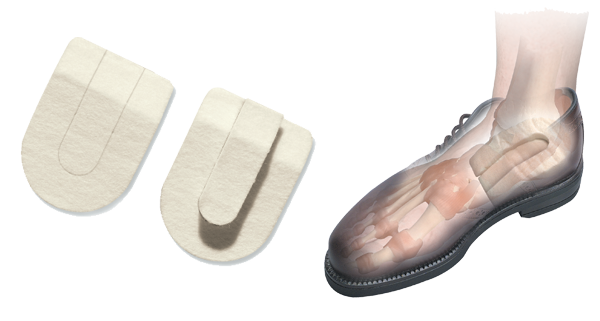 The centre of the pad can be partially or fully removed to ease pressure under the heel. Used for: heel pain; achilles tendonitis and calf and knee pain.